Replace 'Paris' to any location interests you. 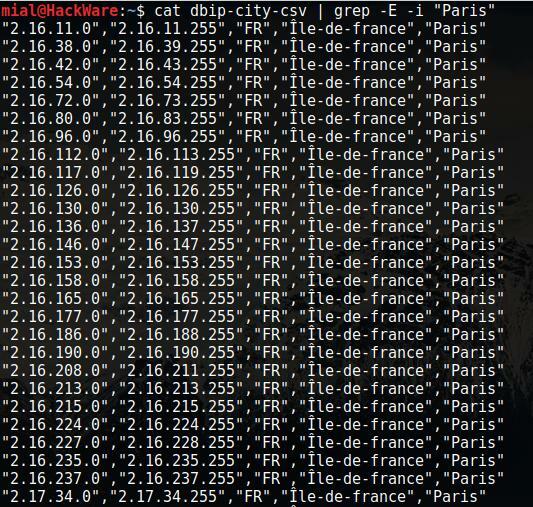 cat dbip-city-csv | grep -E -i "Paris"
To obtain all ISP IP ranges you need to know web-site address of ISP or any IP belongs to it. Replace www.parc.com to ISP web-site address or any IP belongs to the ISP. 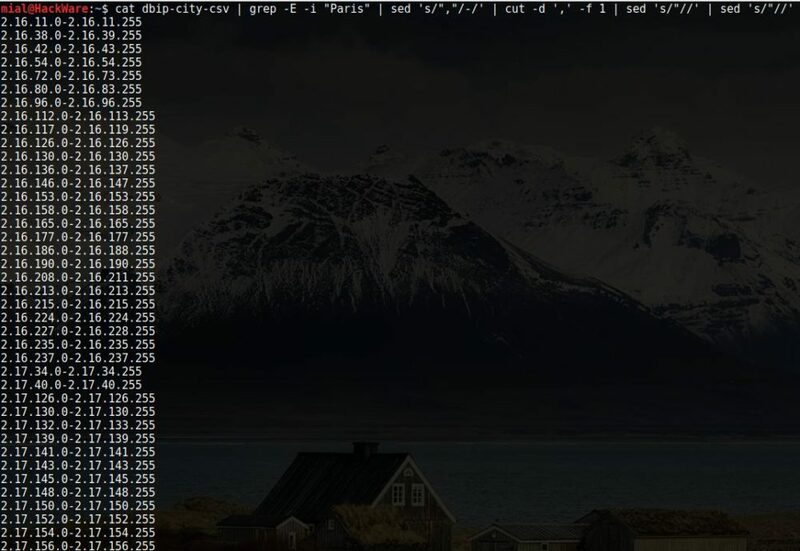 You can use for free suip.biz to obtain location, country or ISP IP ranges.